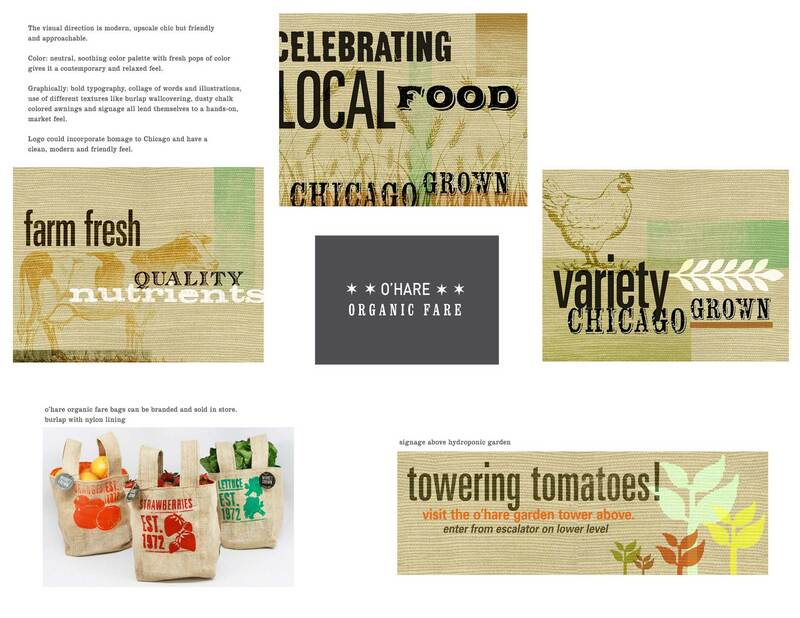 Ideation Studio was engaged to assist HMSHost as a creative resource to create the branded retail space for its fresh food market, the “O’Hare Farmers Market” and the organic garden experience, “O’Hare Eco Farm”, located on 2nd floor in the rotunda between Terminals 2 & 3 at the O’Hare Airport. 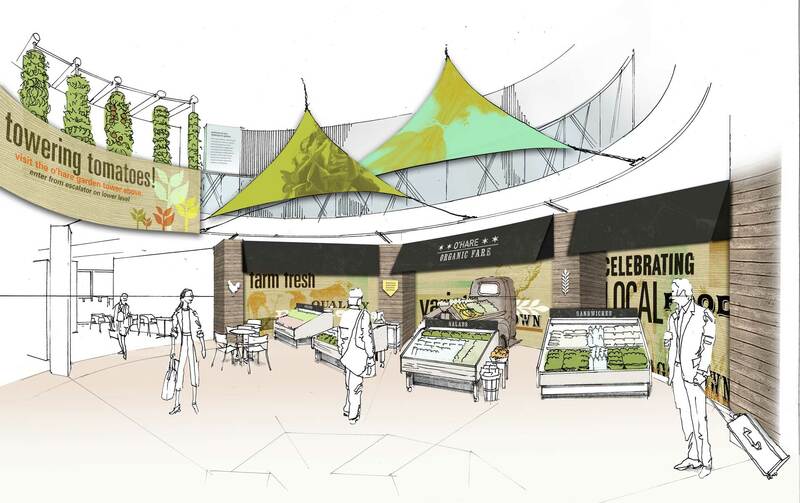 The Farmers Market positioned on the first floor, will offer healthy organic products including fruits and vegetables plus prepared salads, sandwiches, marinated olives, and a variety of packaged snacks such as nuts, yogurt, and dried fruit. The retail theme will have a unique presentation in keeping with the distinctive offering of this new food category at O’Hare Airport. The underlying message for both spaces will emphasize the simple goodness of the products along with high quality organic and nutritional foods of the Midwest. This will be a “fresh market” offer to the passengers passing through the terminals and will leave a unique impression on the customers.